Home » Blog » Meet our Summer Instructors! What are you doing this summer? We hope you're taking some time off to relax. But once vacation plans are set, don't forget to enroll in that course you've been meaning to take. We've got topics to help you develop your skills, from Collaborative Negotiations to Planning and Preparing an Ecological Risk Assessment. As you can see, there are many choices for (Environmental) summer school. But if you're going to give up some precious time in order to advance your knowledge, you want to make sure that you're learning from the best, right? Well, I thought this would be a good time to show off the stars of Summer-our instructors! Below, you'll find a list of the who's who of our upcoming courses and a little bit more about them. And don't worry if you can't break away right away right now. They'll still be around next season...you just might have to brave some colder weather to come out and see them. Nathan has been in the stormwater industry since 1999. He participated in new BMP product releases into the industrial, construction and municipal markets and has been working for the past three years in the ATS industry. Nathan is a published author and photographer in nationally circulated publications. Dr. Anna Sophia Knox is a Principal Scientist at the Savannah River National Laboratory (SRNL) in Aiken, SC where she conducts research on the remediation of contaminated sediments and soils and development of new materials for the stabilization of contaminants. 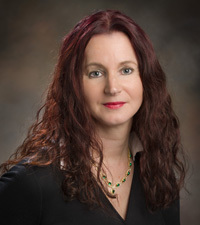 Her participation in professional societies includes serving on the editorial boards for both the International Society of Environmental Forensic Journal and Journal of Archives of Agronomy and Soil Science. Ruth Sofield is an Associate Professor of Environmental Toxicology and Chemistry in the Huxley College of the Environment at Western Washington University. 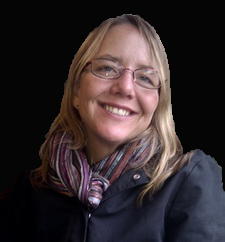 She has worked on projects with the NOAA Ecotoxicoology Branch, WA State DOE, and agencies including USGS and USEPA. Jim Carsner is a graduate of the University of Washington, College of Fisheries and certified Professional Wetland Scientist with over 30 years of diverse professional experience in environmental consulting throughout the Northwest. His extensive experience also includes design, permitting, regulatory coordination, and construction and mitigation monitoring. Michael Fraidenburg is a seasoned natural resources management expert who worked for 30 years with the Washington Department of Fish and Wildlife, both as a fisheries biologist and as an agency executive. His experience and expertise includes conflict resolution, workshop facilitation, commission governance, college teaching, policy making, international negotiations, executive agency, management, planning, research, and program administration. A terrestrial ecologist, Charles Harman has over 23 years of experience in the environmental consulting field. Chuck specializes in natural resource related assessment and management activities, including ecological risk assessments, sediment evaluations, biological assessments, natural resource damage assessments, wetlands management and ecological restorations. Blair Barnhardt is an award winning National Highway Institute (NHI) Certified Instructor for FHWA, a National Local Technical Assistance Program (LTAP) Trainer, and an America Public Works Association (APWA) Carl Vinson Institute Instructor for their Certificate of Public Works Management Program. He is one of the few rare individuals in this nation with direct experience orchestrating the work for all three sub-disciplines of in-place asphalt recycling covered in the FHWA/ARRA Basic Asphalt Recycling Manual (BARM) textbook. Mr. Wald has 30 years of experience as a hydrologist and hydrogeologist with extensive project work on streams, rivers, wetlands, and shorelands. He brings a background in both groundwater and surface water processes, floodplains and high flows, ordinary high water mark delineation, channel morphology, and other elements of applied hydrology. 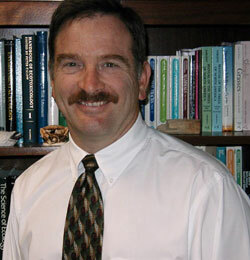 Joseph E. Merz, Ph.D., is a registered scientist with the American Fisheries Society. He has over 20 years of experience working with aquatic resources and has been the principal scientist on several salmonid habitat restoration programs in the California Central Valley. 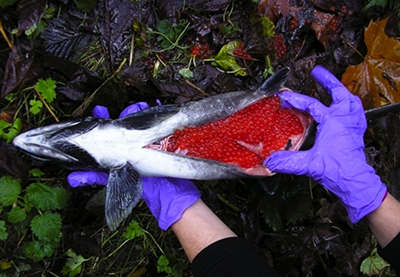 He has taught environmental science, salmon biology and restoration courses for the past twelve years.